UK, 6th September 2018: Following a major £6 million investment from BGF, Barclays and private investors, MyLife Digital (incorporating Wood for Trees and Insight Analysis) is preparing itself for international expansion as a world-class personal data technology company. Founded by John Hall, ex-Bath rugby player and England international and Jeffrey Thomas in 2014, MyLife Digital is already a leading player in the growing South West and UK technology sector. The company’s ambition is to grow into a multi-national company, rolling out its enterprise Software-as-a-Service (SaaS) solution that helps organisations manage the challenges around personal data, enabling them to build greater trust and engagement with the individuals they serve, and allowing the continuation of insight and analytics based on trusted data. With this next stage of development, John Hall is stepping down as CEO. John will be taking up a fresh challenge within the Corsham based Momentum Group of companies. 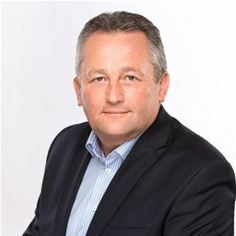 As a founding director and major shareholder, John continues as Non-Executive Director on the board of MyLife Digital and as an ambassador for MyLife Digital working on key relationships, in particular the Rugby Football Union. Andrew Wilson has been announced as Interim CEO. Andrew has over twenty years of sales, commercial and general management experience in IT and Finance markets, giving him the insight and experience to navigate complex organisations and assist with business transformation for accelerated growth. Andrew has a track record of growing start-up and medium-sized companies into large, established and profitable enterprises. He has worked for corporations such as Sprinklr, VCE (a Cisco, Intel, EMC & VMware joint venture), Hewlett Packard and Hitachi. Rob Gould has also been announced as Chief Revenue Officer. Rob has over 28 years of experience of sales leadership, talent acquisition and go-to-market optimisation in technology sectors. During the last ten years, Rob has led international teams and technology platforms for cloud, IT resource management & automation software, and cyber defence software and services. With extensive experience of global business development, Rob has helped grow corporations such as EMC, Resource Management Software Group and RSA. Bruce Finnamore, Chairman of MyLife Digital, said, “We are extremely thankful for John’s leadership. He has successfully taken MyLife Digital from start-up to established company and prepared us to launch into an exciting stage of international expansion. Andrew and Rob have the perfect skill sets and experience to manage MyLife Digital through our next phase of highly accelerated growth”. MyLife Digital’s mission is to help individuals and organisations realise the meaning, power and value of trusted data. Trusted data is not just a wish, it’s a ‘must have’ for positive outcomes such as optimising performance, customer engagement and societal change. In today’s world of fake news, Twitter bots and personal data misuse – using people’s data for purposes of which they were unaware – it’s time to challenge the conventions, provenance and insights being generated as a result of the explosion of data across the world. MyLife Digital rebalances the control of personal data between organisations and individuals, which reinforces consumer trust through its market leading SaaS platform, Consentric. 2015: MyLife Digital acquired data analytics company Wood for Trees. 2016: MyLife Digital acquired data analytics company PGIR (trading as Insight). 2016: Business Growth Fund (BGF) provided initial funding of £2million. 2016: Consentric platform development commenced. 2017: MyLife Digital launched Consentric to market as a world-leading personal data management platform. 2017: Dogs Trust, a large animal welfare charity, went live with the Consentric platform in 2017 as our first large-scale client. 2018: MyLife Digital partner programme reaches 50 partners. 2018: Consentric approved by Salesforce and accepted into the Salesforce ecosystem. 2018: Consentric accepted into the G-Cloud 10 UK public sector procurement framework.